Inspired: Slaying Giants, Walking on Water, and Loving the Bible Again by Rachel Held Evans. A courageous and challenging look at the Bible and how to read it. The Soul of America: The Battle for our Better Angels by Jon Meacham. A historical look at America's long struggle with divisions and our struggles to over come them. A hopeful book. Disarming Scripture by Derek Flood. The Bible Tells Me So by Peter Enns. Changing Our Mind by David Gushee. Inspiration and Incarnation by Peter Enns. We’ve got a Diva in the house now. 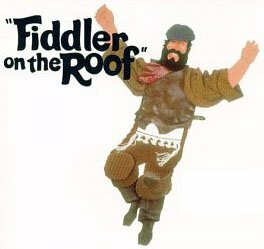 Bev auditioned recently for Fiddler on the Roof, and got a role. She will be playing Yente, the Matchmaker. She is enjoying the process of putting together live theater. The first couple of nights were used to work through the music, especially the group numbers. This weekend will be for blocking the moves of the actors. The role she is playing is of that of the matchmaker in the tsarist Russia town of in Anatevka in 1905. The role of Yente is a charming role, and it brings humor to the story. The play begins in mid September and runs for three weekends. The people cast for the roles are very talented people, and it will be a wonderfully presented play.